Our Clients had never thought about self-building their own home other than watching property shows on TV. By chance they came upon this site in Mevagissey with fantastic sea views and immediately fell in love with it. 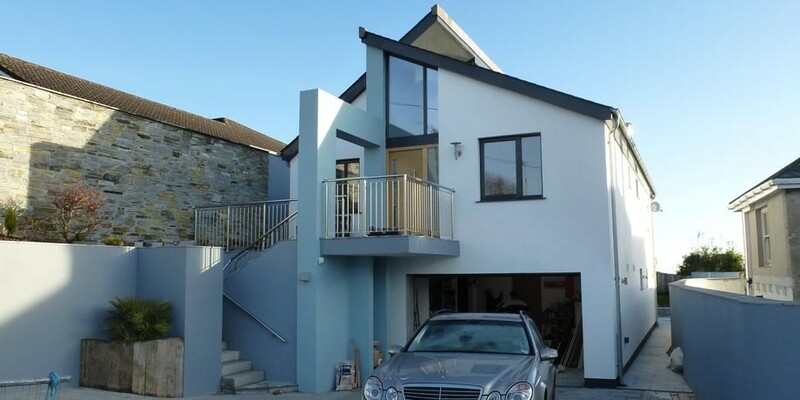 They approached us in the summer of 2009 with a brief to design them a new three bedroomed contemporary family home with an open plan layout which made the most of its spectacular location. 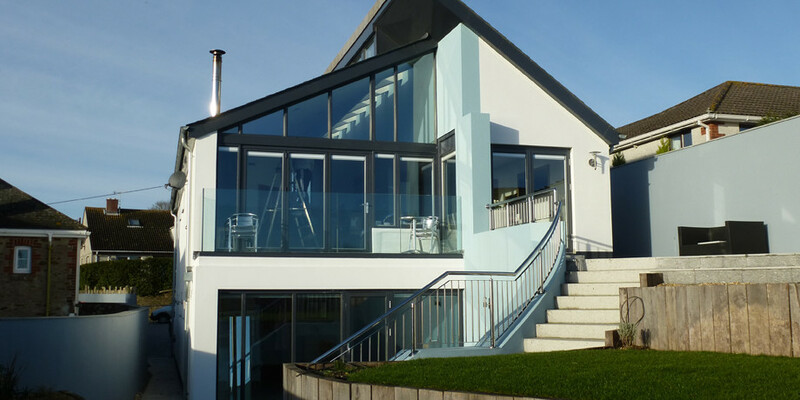 The unique design incorporated a large glazed gable end overlooking the sea. The retaining walls were designed to be a strong architectural characteristic of the property acting as a spine wall through the building which formed a garden feature to both the front and rear elevations of the property. The wall travels from West to East forming an external terraced area. Internally the wall became the structural wall for the roof where a cantilever provided the location for the feature roof windows. High levels of insulation were included within the construction whilst the semi-subterranean aspect of the dwelling moderates the temperature enabling it to be naturally cooler in the summer and warmer in the winter by using the ground as a heat sink. A ground source heat pump provides heating and hot water and solar thermal hot water collectors on the southern roof aspect assist in the provision of hot water/electricity. 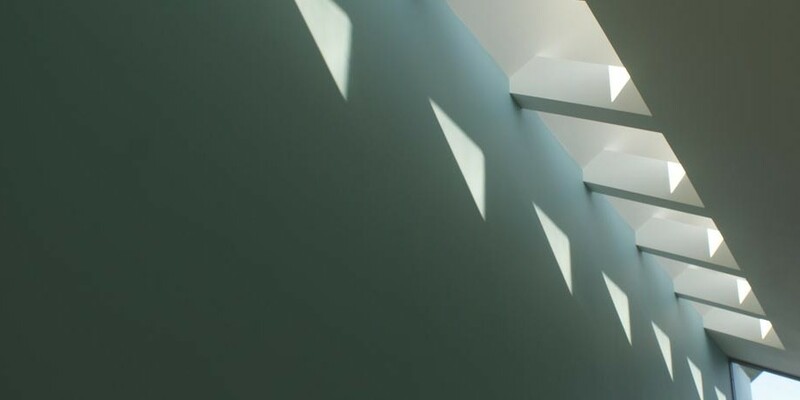 This integrated strategy ensures that the building has a minimal environmental impact and achieves an A-A energy rating. Our Client was quoted as saying, ‘If I was driving by it’s a house I would stop to look at!’ we consider this very suitable praise! Polstreath Orchard features in the May 2013 edition of Self Build and Design Magazine. Read the write up here.